Part II of this series focuses on mediumship, specifically the type of mediumship that developed throughout the Caribbean and much of Latin America, commonly known as Espiritismo. Mediumship is the practice of communicating with the dead by individuals, known as mediums. These individuals communicate with the dead in a few different ways, of which spirit possession is the most commonly known. Often times, the medium is not, nor does he/she have to be, in a full state of possession in order to communicate. The medium will exercise his/her abilities of seeing, clairvoyance; hearing, clairaudience; feeling, clairsentience; smelling, clairalience; or knowing, claircognizance. The medium may use any one or combination of these abilities to receive and transmit messages from the dead. These abilities also help the medium to identify and articulate what spirit is present. In the popular imagination, mediumship is still, often, associated exclusively with non-Western shamanistic or mystic spiritual traditions. The historical record shows that all of the Abrahamic traditions maintained practices, if not entire sects, that employed mediums. In fact, one need look no further than the Sufi Islam tradition, the Pentecostal Christian church, and the Hebrew Kabbalah tradition to find mediumship. In Latin America and the Caribbean, due to a forced mixture of cultures and traditions, very unique forms of communicating with, and specifically, working with the dead developed. This article will focus on the Cuban scenario, which is the history I know best; however, be clear that these traditions developed throughout the Americas, even in the United States, albeit resultant from, and against the backdrop of, tumultuous sociopolitical conditions. Where Cuba is concerned, these traditions are lumped under the term Espiritismo, which, for accuracy’s sake, should really be considered an umbrella category that contains several related, but not at all identical, practices. The preeminent scholar-practitioner on Cuba's, primarily Eastern Cuban, Espiritismo traditions, is José Millet and it is from his body of work, specifically his book, Sacred Spaces and Religious Traditions of Oriente that I draw this assessment. Espiritismo is an amalgam of the Kardecian spiritist tradition, steeped in Catholicism, and the various spiritual traditions of the enslaved African peoples who were brought to Cuba. There is also the suggestion that it may be influenced by practices from indigenous peoples of Cuba. It is important to note that the Kardecian spiritualist tradition arrived in Cuba only in the 19th century. While Espiritismo became the most popular and prevalent, due to it's acceptance by the Catholic Church, Cuba had it's own spiritualist tradition, Bembe de São, based on the beliefs of Bakongo and Kikongo people, which developed as early as the 16th century, in the barracks where these enslaved Africans were forced to live. The beliefs of the Bakongo and Kikongo peoples, together with Africans from Haiti who brought their Vodoun practices, formed the basis of Bembe de São, and more importantly, the foundation for Cuban religio-spiritual culture. 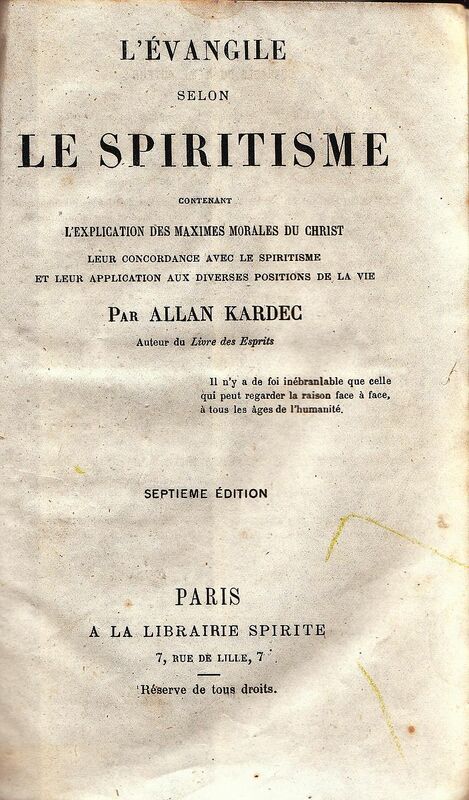 Espiritismo Cruzado, translated as crossed spiritism, which took root much later, is a crossing of Kardecian spiritualist practices with the spiritual traditions of other African groups namely the Abakuá (Efik, Ibibio and other groups from the Calabari region of present day Nigeria), Lukumi (Yoruba of present day southwestern Nigeria); and, of course, the various Palo traditions from the Bakongo, Kikongo, and surrounding peoples of the former Kikongo empire. Espiritismo is an umbrella term for a group of traditions focused on communicating with the dead for the benefit of the living. It is an organized form of mediumship specific to the social realities of colonial Cuba, an environment that profited from the forced, free labor of enslaved Africans. It developed and thrived under oppressive conditions, and especially in the case of Bembe de São, it served as a tool for spiritual liberation, that often incited physical liberation from the scourge of slavery. The practice consisted then, as it does now, of skilled, trained mediums who would lead spiritual masses or spiritual reunions for the purpose of communion but also healing. These reunions employed songs, chants, dances, spirit possession, spiritual cleanings, spirit removals, to ensure the health and stability of it's community. Moreover the sacred spaces created by Espiritistas (practitioners of Espiritismo) reconstructed communal spaces and places that maintained direct connection to the homelands of the individuals, particularly those of African descent, who now lived in Cuba. Individual practitioners construct altars that include representations of the four elements, as well as spirits and saints with whom they work to achieve specific ends. It is a non-initiatory practice; however, many of its practitioners are adherents, initiated or not, of any combination of the aforementioned Afro-Cuban spiritual traditions. Despite it's Kardecian and Catholic elements it is decidedly African and wholly Cuban. It is also an adaptable tradition and open to the inclusion of individuals of varied ethnic backgrounds. In my opinion, it is a both a way of believing but also a methodology that can be practically applied for someone genuinely interested in venerating the dead. For my elders and colleagues in these traditions. You may be wondering why I have not mentioned muerterismo. Given it's near inseparability from the Palo traditions, I have decided to reserve that discussion for a later time. But not to worry, I will get into it. Part III of this series will focus on tarot Stay tuned and until next week!